The new iPad Pro features an all-new, all-screen design. But it's not just any screen, it's the most advanced display on the planet. And with less volume and more screen than ever, there's more room to create, work and watch. ProMotion technology automatically adjusts the display's refresh rate based on what you're doing for the most responsive performance possible. So whether you're scrolling through pages in Safari, playing an intense 3D game or drawing a complex illustration with Apple Pencil, everything feels utterly smooth, fast and immersive. A new woofer and tweeter pair in each corner delivers wider stereo sound for a high-fidelity, cinematic audio experience in any orientation, whether you're watching a film or on a FaceTime call with family. All with the thinnest speaker system we've ever designed. Go ahead and get loud. 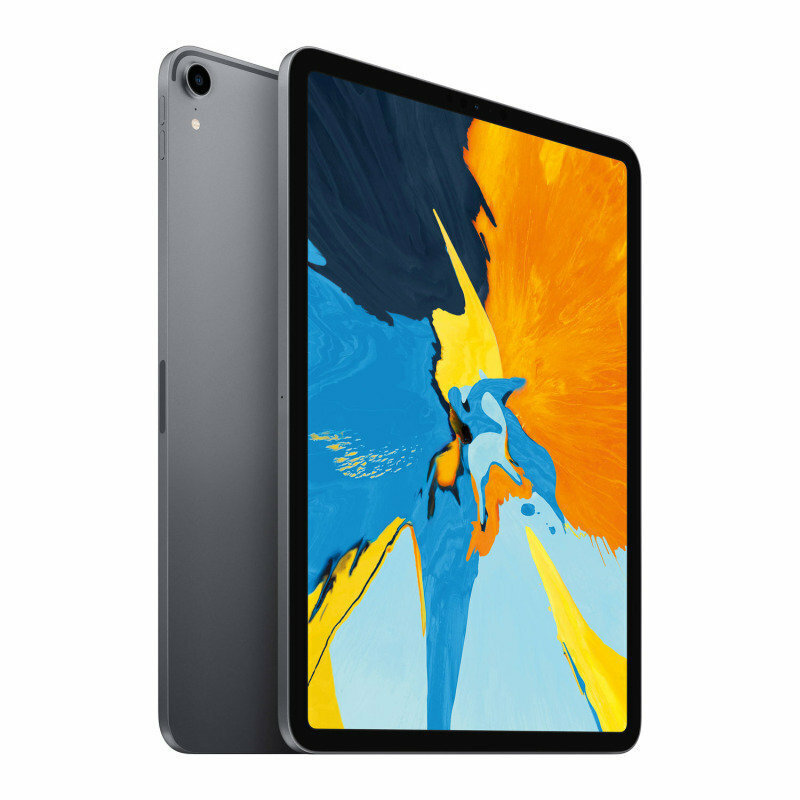 Now on iPad Pro, Face ID delivers the world's most secure facial authentication in a tablet or a computer. With just a glance, you can unlock your iPad, log in to apps and make secure purchases. And Face ID on iPad Pro can recognise your face whether you hold it in portrait or landscape. The TrueDepth camera system is composed of multiple innovative technologies. Working together in real time, they use a detailed depth map of your face to recognise you - and only you - in an instant. The camera system is unique to iPad, with a wide field of view that allows Face ID to work in any orientation. The TrueDepth camera also enables features like Portrait mode, Selfie Scenes in Clips, and Animoji and Memoji in Messages and Group FaceTime.